For years we resisted it, the siren call of the Instant Pot. 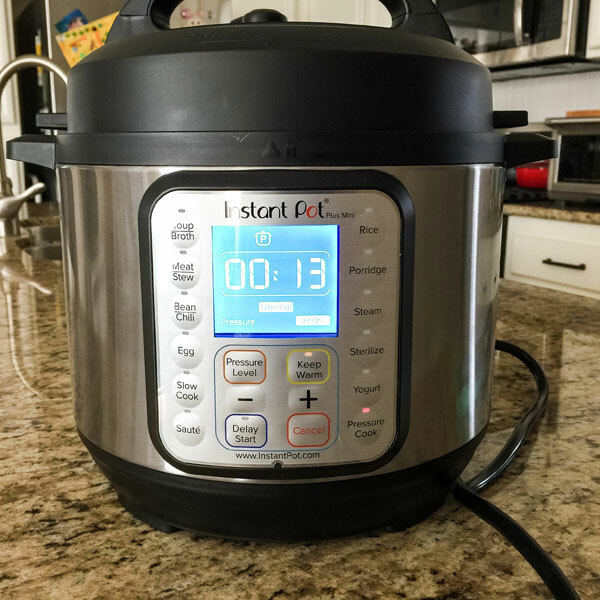 Then a killer Amazon Thanksgiving Sale weakened our resolve and a cute little 3 Quart Instant Pot Duo Plus joined our family! After using it almost every day for the last 4 months, the Instant Pot Mini’s become one of my favorite kitchen gadgets (shhh..don’t tell the toaster ovens I said that). The problem is…it’s got a bit of a learning curve. That why today’s post is the first in a series we’ll be doing about cooking with a 3 Quart Instant Pot Mini. Before this fun machine, Tim and I had never used a pressure cooker (electric or otherwise). So we’re far from what you’d call experts. Nope, we’re firmly situated in the beginner camp and have already had plenty of whoopsies. Something tells me you can expect to see more of these operator-error-related-fails as we work together (you + me) to figure out this machine. Two things you need to do once your 3 Quart Instant Pot Mini arrives. Perform the initial water test to make sure your machine works properly. After that, grab a cup of coffee (or tea) and check out a few online guides. Be careful though, it’s easy to fall down a Google Instant Pot Rabbit Hole. 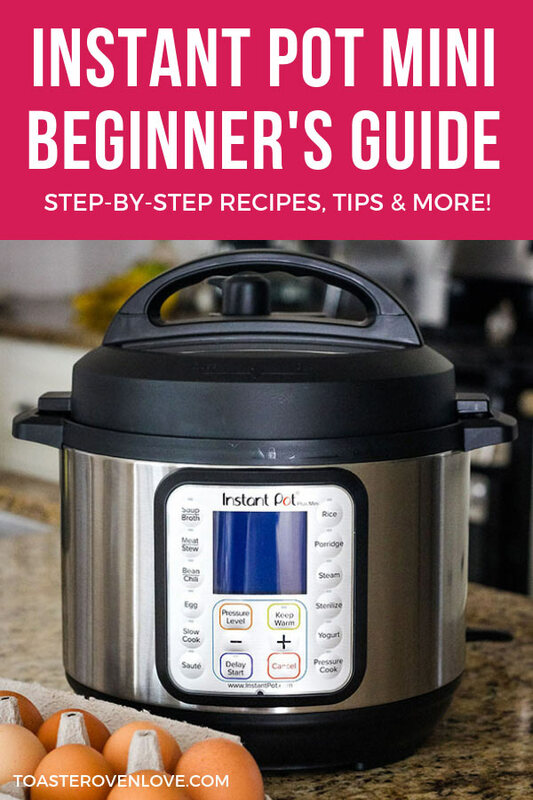 I’d start with these Tips For Getting Started from Pressure Cooking Today (actually read ALL of the guides on Barbara’s site if you have time, they’re awesome). 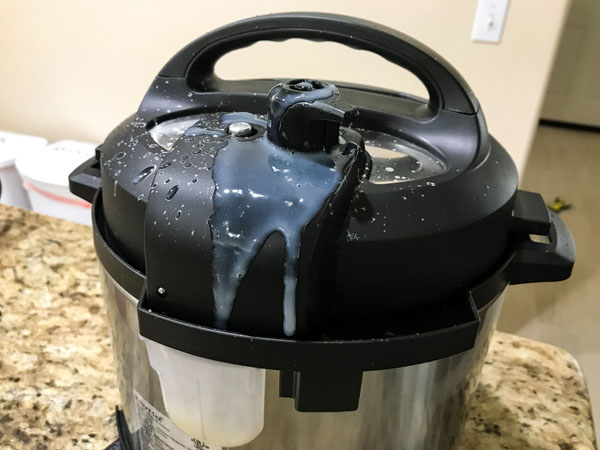 And then this post from My Crazy Good Life on Instant Pot Cooking Differences. Lots of great tips and troubleshooting for the Mini. When it comes to the Instant Pot, my mom is our personal go-to authority (she owns 2 of them + the Ninja Foodi). Keep the cook time the same. WHAT SHOULD YOU COOK FIRST? So far we’ve had a lot of success with the PRESSURE COOK setting. It’s a good setting to get comfy with since you’ll probably use it the most. This yummy Four Ingredient Instant Pot Chili Mac turned out fantastic using whole wheat pasta. To make it in the Mini, we divided all of the ingredients in half and got about 3 generous servings. Carrie, an awesome reader, recommended this delicious Enzo The Bride Soup cooked on High Pressure. We made the full recipe in the Mini without a problem (the ingredients were below the max fill line). 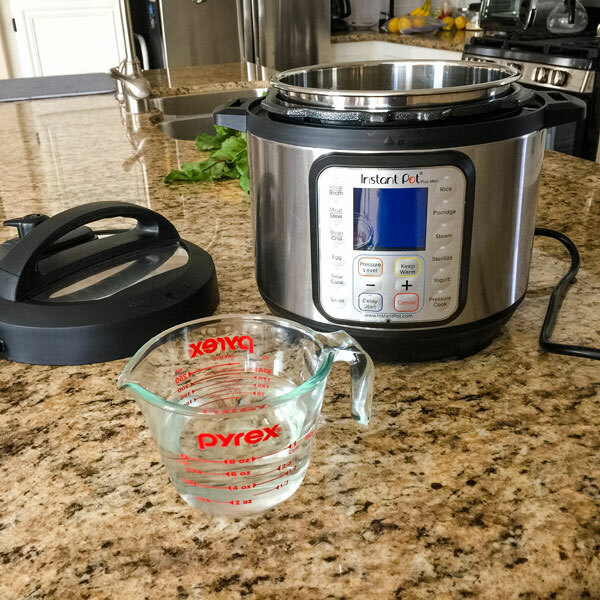 Here are 3 more of our favorite foods to pressure cook in the Instant Pot Duo Plus Mini, just click on the pink title to go to the recipe. 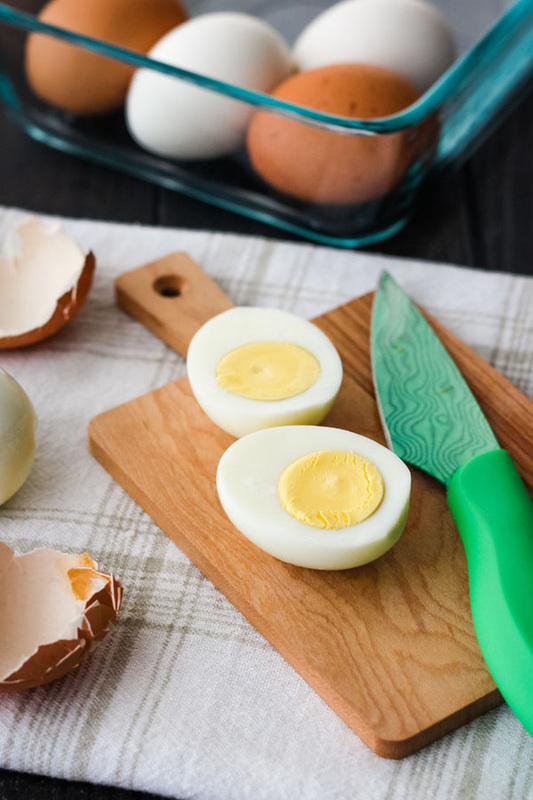 HARD “BOILED” EGGS: For us, the LOW-pressure setting produced perfectly cooked eggs with easy to peel shells. Whether you use our approach or something else, we’d recommend employing the “test cookie method” of starting small with just one or two eggs. Bonus Tip – Use a cool pot and cool water. Otherwise, your eggs might end up with wicked cracks or worse…overcooked grey yolks! 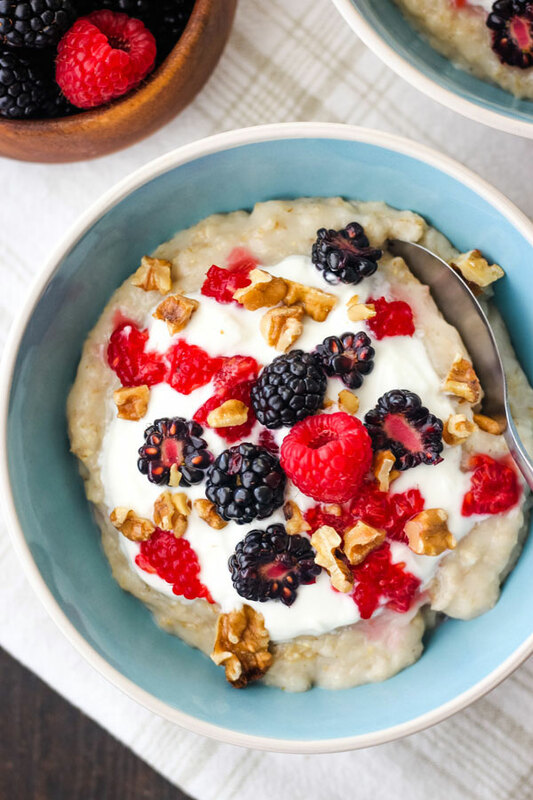 OATMEAL FOR TWO: This easy recipe is what earned our Instant Pot Duo Plus Mini a permanent space on the kitchen counter. It’s super easy – just make sure you don’t measure the ingredients while sleepy. Bonus Tip – When cooking foods that foam (like beans and grains) don’t fill the pot more than halfway full. 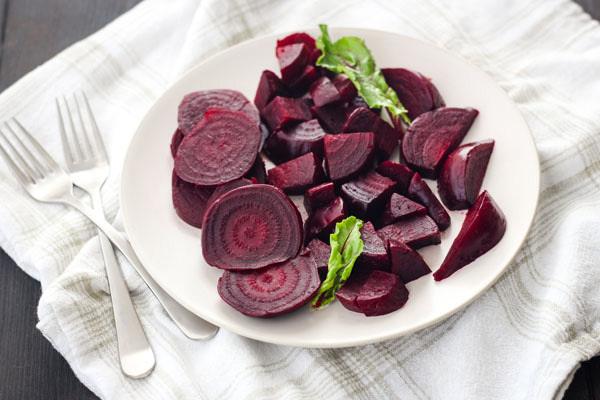 STEAMED BEETS: If you hate cleaning up after roasting beets, this recipe’s for you. The beets don’t taste the same as roasted ones but it’s a small trade-off for the faster cook time and quick cleanup. Bonus Tip – If all of your beets aren’t cooked through you can put the lid back on and pressure cook them more. Even though we’re not huge steamed veggie fans, I did have high hopes for whole sweet potatoes. But they were just okay. 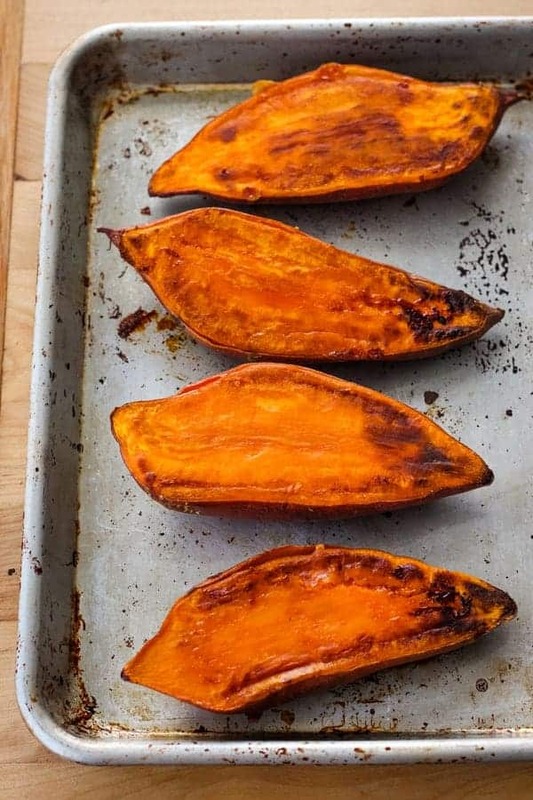 Well, actually less-than-okay when compared to our super flavorful Quick Baked Sweet Potatoes and Roasted Sweet Potato Rounds. We’re still game to try more vegetables though, so if you’ve got a favorite Instant Pot recipe send it our way. Also, this video from Six Sister’s Stuff has lots of good ideas and includes directions for the 3 Quart. Once fresh corn is in season, we’re definitely giving it a try in the Mini. I haven’t cooked with any of the specialty settings yet but we do plan to use them to make beans, yogurt, and soup. If you’re curious about one, let us know in the comments and we’ll try it first. So glad that you have embraced the 3 QT. mini…just seems a natural after the toaster oven! !